Sorry, no review of EA Sports Active yet. Do you find there are too few hours in the day to run a household, hold down a job and fit in a workout? Or, are you just getting bored of the same old fitness routine? An innovative new customizable and personalized fitness product that will get you motivated to move in the comfort of your home. EA SPORTS Active will launch exclusively for the Wii™ worldwide next spring. 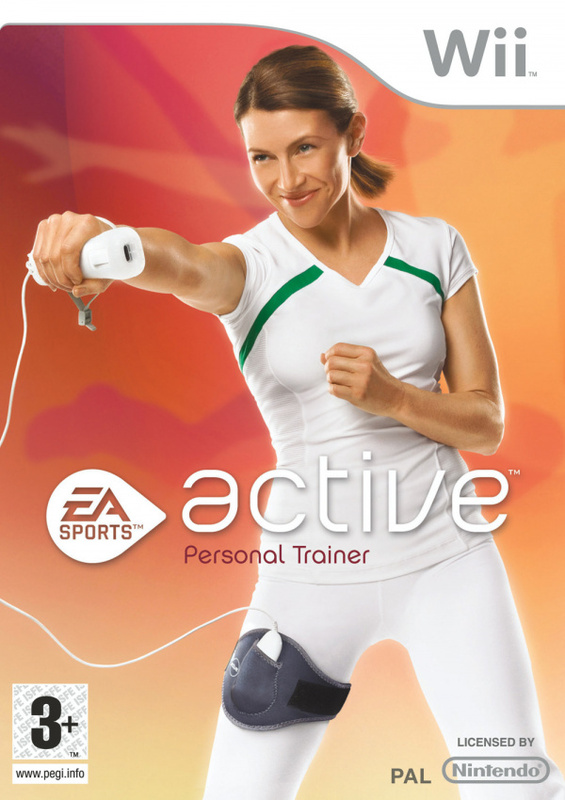 Developed in collaboration with fitness experts, including Bob Greene – renowned exercise physiologist, author and Oprah’s personal trainer – EA SPORTS Active is perfect for the whole family, though designed specifically for women seeking a simple, fun and cost-effective way to achieve a healthy lifestyle. The product will be the first in a new line of EA SPORTS fitness and sports performance products in development to improve the well-being of people of all ages. EA SPORTS Active features a wide variety of interactive activities combined into a circuit that target both the upper and lower body as well as cardio, and supports two players to allow family or friends to get fit together. EA SPORTS Active provides a new level of motivation with on-screen, real-time feedback on your workout such as calories burned, while also allowing you to adjust intensity levels. EA SPORTS Active will include two specially-designed leg straps that hold the Wii’s Nunchuk controller to track lower body movements, as well as a resistance band to support a number of upper body strength training exercises. EA SPORTS Active features a “30 Day Challenge,” a fitness road map for players to reach their fitness goals with the guidance of a virtual trainer. The Challenge provides a new, 20-minute workout every time a player exercises, including clear instruction, feedback on technique and positive encouragement throughout the workout. Each circuit will feel different and increase in intensity as fitness levels improve to help you work up a sweat and work toward your fitness goals. Users can also create their own custom workouts that vary in activity, duration and intensity, and the Wii Balance Board will add functionality to many exercises. I am a huge wii fit fan (the whiole family is in fact). I'll probably be purchasing this baby. Hope it works. I purchased this and I have to say its quite good. Only problem is is that it is no where near and fun or responsive as Wii Fit for me. (I've been using Wii fit regularly since its release day believe it or not).